At Lorraine Dental Group, we make painless, quality dentistry affordable. Dr. Alexandra Peri and Dr. Fadi Samman with their team believe you deserve leading-edge oral healthcare, focused on your unique needs. We’ll work hard to build a bond of trust, based on mutual respect and compassion, starting at your first visit. Dr. Peri and Dr. Samman are gentle, patient-centered dentists. The doctors and their team want to help you achieve the best and healthiest smile you can have. The doctor will create a custom care plan for you, tailored to your personal and clinical needs. We’ll review the plan, showing you what’s involved, how everything works, and why it’s important. We’ll also talk about treatment options. This ensures you’re able to make an educated decision about your smile’s health. We believe everyone deserves a healthy smile they love. We’ll work with you to make treatment affordable, finding terms that work with your budget. We want you to have great oral health and a smile that makes you happy, and we will move mountains to make it happen! 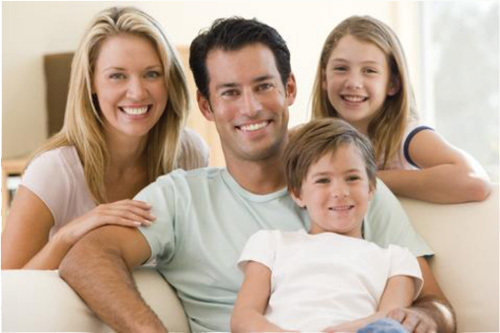 We offer no-charge consultations and second opinions, and take same-day dental emergencies at our Warren, MI family-friendly dental office. Please contact us to learn more and schedule a visit. The Lorraine Dental Group team looks forward to welcoming you to our dental family. We’d love to help you develop your healthiest, most beautiful smile – affordably! We are committed as a team to deliver the highest quality preventive, restorative, and esthetic services possible for patients. In our warm and friendly environment, you always come first while we provide exemplary dental care in a spirit of tenderness and gentle kindness. Our in-home teeth whitening kits are easy to use and great results are achieved in 4 to 6 weeks. Call our office to learn more about our teeth whitening options. Dr. Peri and Dr. Samman have the desired combination of experience and knowledge in cosmetic dentistry to transform the appearance of your smile while also attending to function, to improve your overall dental health. Dr. Samman's cosmetic dentistry specialties include dental implants, Invisalign, root canals, and complex extractions. Inlays and Onlays are tooth-colored restorations that are used in place of silver fillings on the chewing surfaces of back teeth. Unlike silver fillings made from metals that may cause further damage to teeth, these cosmetic fillings look extremely natural and typically require that far less of the tooth be removed. We understand that emergencies arise at the most inopportune time. We do offer after hours emergency service for your convenience. If the office is closed, up to date doctor phone numbers will be provided so you can reach us promptly. Very great service. Haven't went in a while I need to call and set up an appointment. Would recommend Dr. Peri and this group to everyone. Convenient hours, Dr. Peri and staff very knowledgeable, helpful and pleasant. There were no surprises or unexpected costs thanks to Marilyn. And best of all teeth look fantastic! I had the best experience at Lorraine Dental in Warren! Everybody in the office is so friendly! They made my visit very pleasant! I'm glad I decided to switch dentists! !